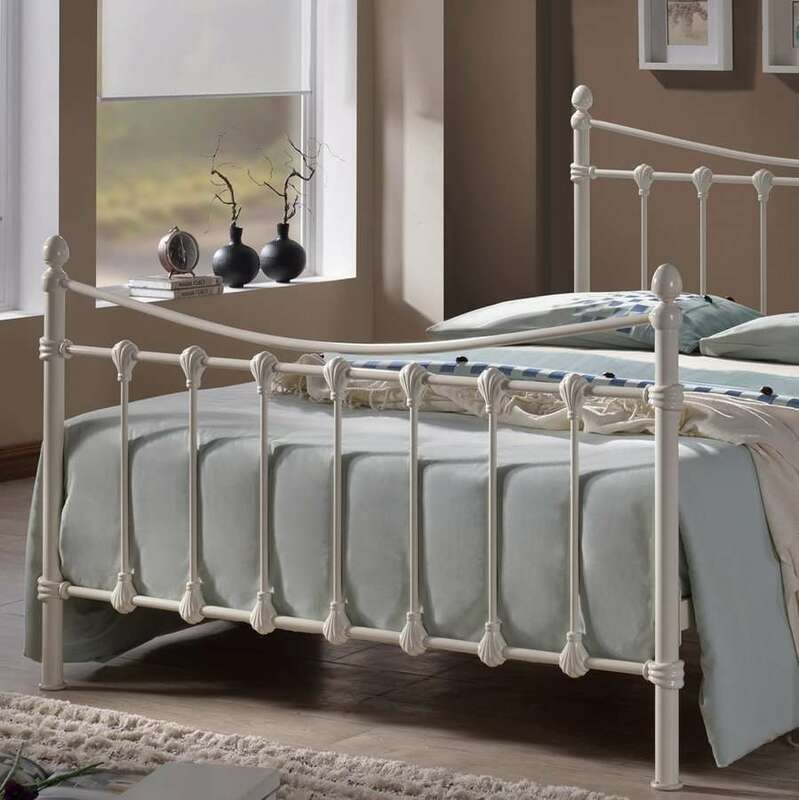 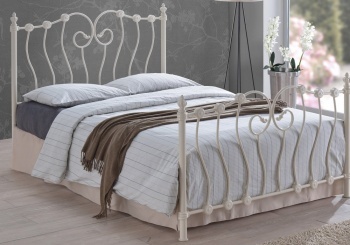 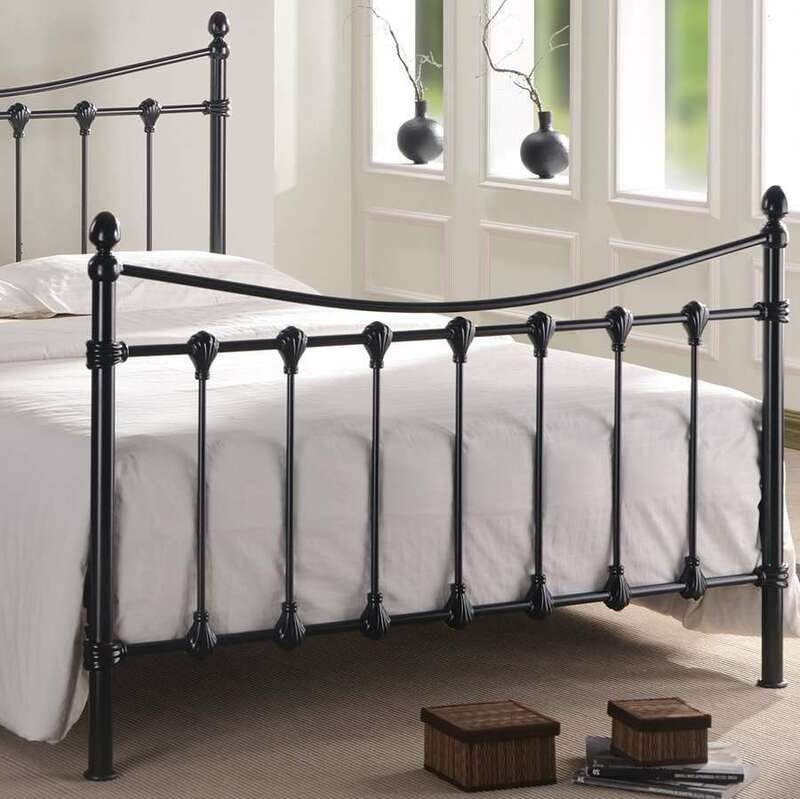 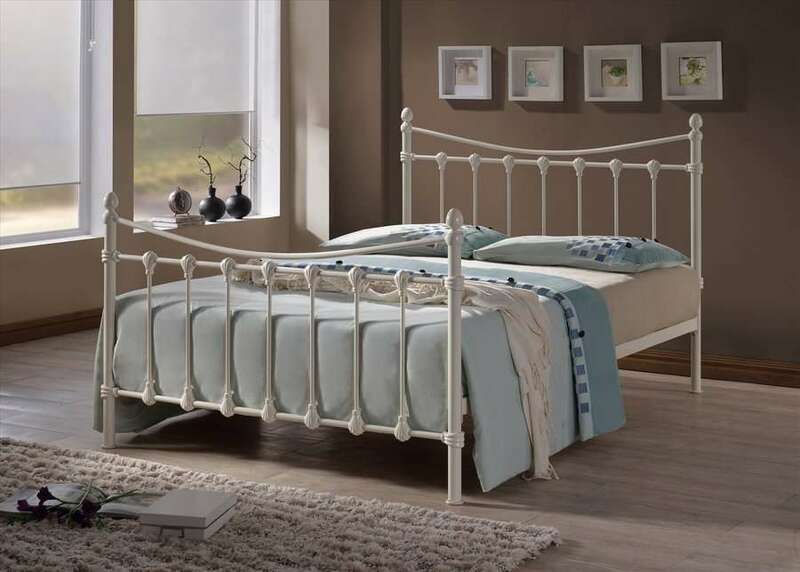 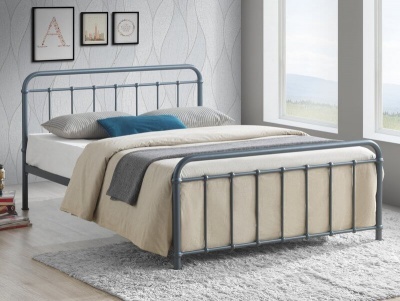 Charming metal bed frame with a romantic feel. Elegant traditional design the detailed finials complete the look. 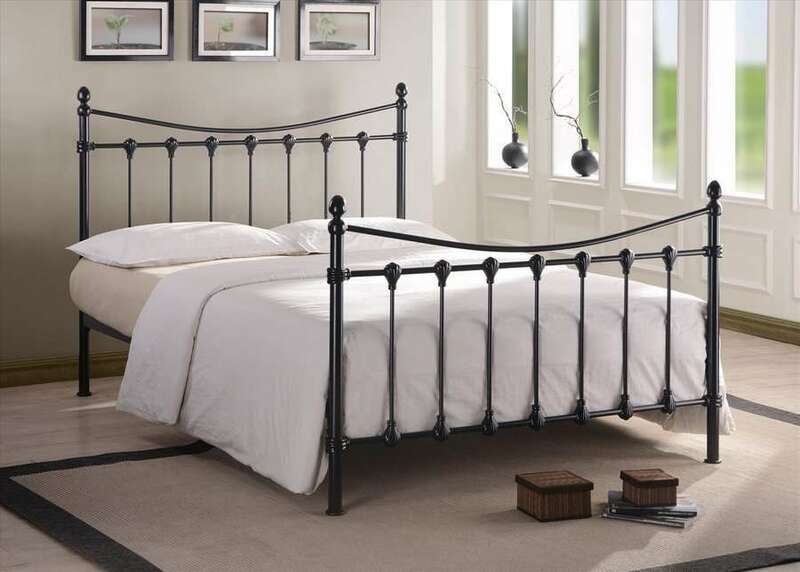 Pick from ivory or black finish to suit your décor. 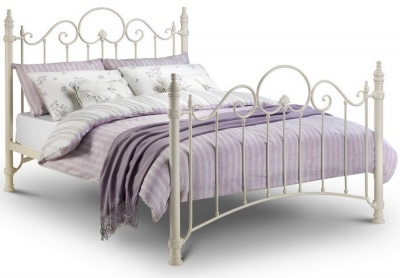 The under bed clearance/storage space is 26 cm. 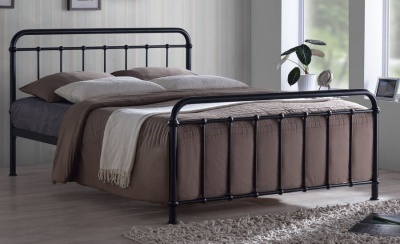 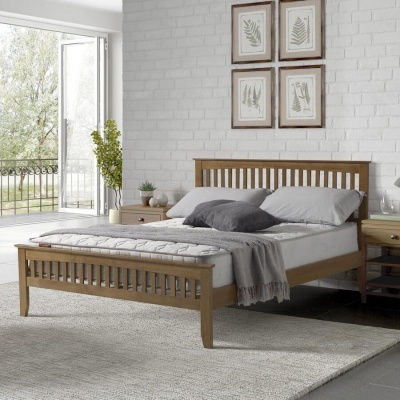 The overall dimensions of the Florida double bed frame are: H115 L200 W140 cm.